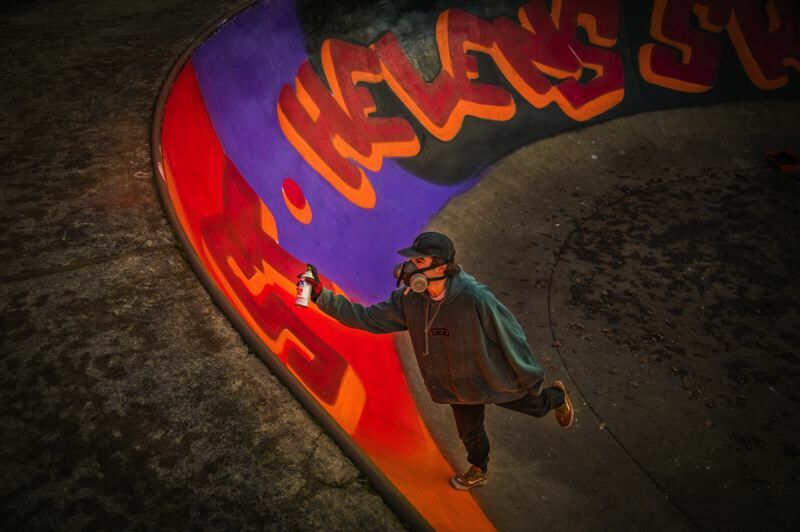 With bright and bold colors, a new mural in the St. Helens Skate Park is meant to be more than a stunning visual — it's a call to action for skaters to get involved in an ongoing project to revitalize and revamp the skate park during its 20th anniversary. Last week Portland artist Quinn Segal, 19, spent four days in St. Helens designing the mural using spray paint and acrylics to complete the design. A private donor paid for the supplies and Segal donated his time to complete the mural. Lisa Brooke, a member of the St. Helens Arts and Cultural Commission, pitched the idea of revitalizing the skate park last December on behalf of the ACC. The skate park was built in 1999 and, as it approaches it's 20th anniversary, it seemed like a logical time to revisit the park and address maintenance needs. Brooke reached out to Segal through social media and asked him to get involved in the project. Segal primarily works on smaller custom pieces involving skateboards, helmets and shoes, and has occasionally worked on larger murals. He said he was excited to be involved in a large-scale piece. "For me, as an artist, I'm always down to go bigger. The bigger the space, the better," Segal said. Brooke said she wanted to give him free rein to design the mural. The only requirement was that it had to include the Instagram handle, St. Helens Skate Park 2019, but the rest of the design was up to Segal. "Sometimes when you give a kid a project and they go all out, it turns out bigger and more fantastic than you thought it would be," Brooke said. "And this one is bigger than I thought it would be, but it's a lot more fantastic than I thought, too." Segal said said he drew his inspiration from youthfulness. "The inspiration was just going back to being a kid, using bright colors and just making it feel alive," he said. 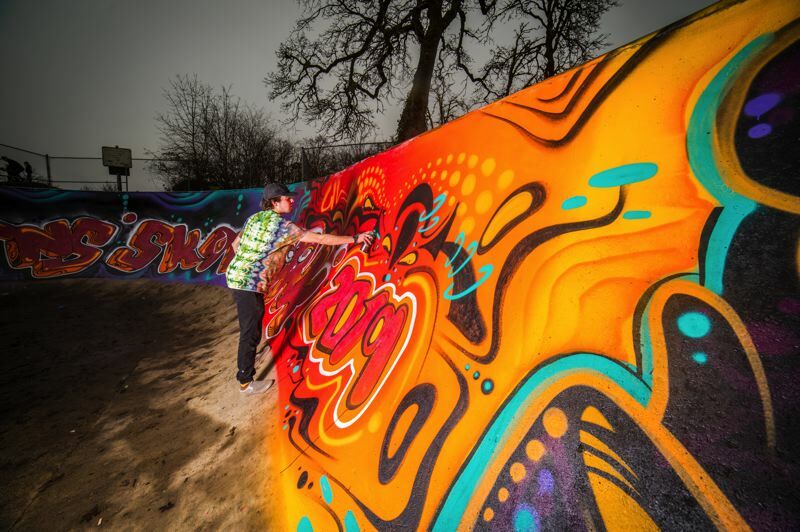 Brooke said the idea to install the mural was to go where skaters are to get them involved. "It's the way that we put up to communicate to find more information, and I wanted it to go right where the skaters are," Brooke said. Currently, Brooke is also encouraging skaters, teens and community members interested in the project to start taking leadership and developing a plan for what the next steps need to be to make the idea happen. A group interested people met at Barlow Boards and Bikes on Wednesday night to discuss the project. While Brooke is acting as a facilitator now, she hopes to pass on the majority of the work to those who will use and appreciate the park. Announcements and news about the project will continue to be published on Instagram. Anyone who wants to get involved is encouraged to follow the account to get updates.